Sliabh Luachra is an region where Gaelic surnames predominate in the local population, especially in the rural areas outside the main towns where later Anglo-Irish surnames may be found. There was not a strong Anglo-Norman presence in the area – most settling from Mallow eastwards (Roches, Condons, etc …) or in North County Kerry (the Fitzgeralds). The Walsh’s are more dispersed but do not feature strongly in this barony despite being the fourth most common surname in the country today. 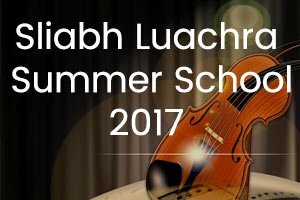 If you live in Sliabh Luachra and would like your surname added to this page, please message us on the ‘Contact Us’ page. Ó BUACHALLA—I—O Buoghelly, O Bowghilly, O Bohelly, Boughla, Buhilly, Buckley; ‘descendant of Buachaill’ (the boy, used as a personal name). This surname, in the 16th century, was peculiar to Cork, Tipperary and Offaly. It is now also common in Kerry, Kilkenny and Dublin. There are very few of the name in any other county. Ó CRÓINÍN—I—O Cronine, O Cronyn, Cronin, Cronyn, Cronan; ‘descendant of Cróinín’ (diminutive of crón, brown, swarthy); the name of a family of Corca Laoighde, originally seated in the neighbourhood of Clonakilty, but now numerous throughout Cork, Kerry and Limerick. Ó DÁLAIGH—I—O’Daly, Daly, Dawley, &c.; ‘descendant of Dálach’ (holding assemblies, frequenting assemblies). The O’Dalys derive their descent from Maine, son of Niall of the Nine Hostages, and were originally chiefs of Corca Adain, or Corca Adhaimh, in the present county of Westmeath. 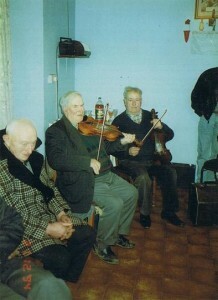 In later times they became famous as a bardic family all over Ireland. About the middle of the 13th century, a branch of the family, descended from Donough More O’ Daly, a celebrated bard, settled at Finavarra, in Burren, Co. Clare, where they became poets to the O’ Loghlens. 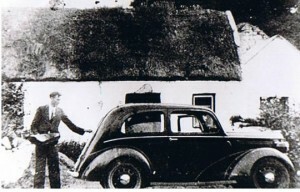 To this branch belonged the Dalys of Galway, whose ancestor settled in Uí Máine in the latter part of the 15th century. Raghnall O Dálaigh, who settled in Desmond about the middle of the 12th century, and became chief ollave in poetry to MacCarthy, was doubtless the ancestor of the O’Dalys of Muinntear Bhaire and O’Keeffe’s country. Another branch settled in Cavan, and became poets to the O’ Reillys; while other branches were poets to the O’ Neills of Ulster and the O’ Connors of Connacht. The name is now common all over Ireland. Ó DUINNÍN—I—O Dunnyne, O Downine, Dinneen, Dineen, Dunion, Dunning, Denning, Downing; ‘descendant of Duinnín’ (diminutive of donn, brown); the name of a literary family of Corca Laoighdhe, in South-west Cork, who became hereditary historians to MacCarthy More; also of a midland family. In Munster the name is generally anglicised Dineen and Dinneen, but sometimes Downing, while it is made Dunning and Denning in Leinster. Mac GEARAILT—V—M’Garilt, M’Gerald, FitzGerald, Fitzgerald; ‘son of Gerald’; the Irish form of the Norman surname FitzGerald. The Fitzgeralds rank with the Burkes and Butlers as one of the most illustrious of the Anglo-Norman families in Ireland. They derive their name and descent from Gerald, Constable of Pembroke, whose wife was Nest, daughter of Rhys Ap Tewdwyr, King of South Wales. Gerald flourished in the early part of the 12th century. His son, Maurice Fitzgerald, was one of the companions of Strongbow, and from him are descended all the families of the name in Ireland. He received large grants of land which continued in the possession of his descendants down to recent times. Members of the family frequently filled the highest offices under the English Crown. The head of the Leinster branch of the family for centuries bore the title of Earl of Kildare, later Duke of Leinster, while the head of the Fitzgeralds of Munster was Earl of Desmond. Ó CÉILEACHAIR—O Keallaghir, O’Kelliher, Kellegher, Kelleher, Kelliher, Keller, &c.; ‘descendant of Céileachar’ (companion-dear, spouse-loving); the name of a well-known family in Cork and Kerry. 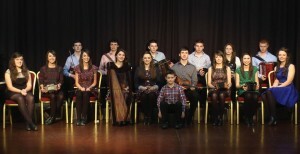 They are of Dalcassian origin, being descended from Donnchuan, brother of Brian Ború. Ó LÉANACHÁIN—I—O Lenaghan, O Leneghan, Lenaghan, Leneghan, Lenahan, Lenehan, Lenihan, Lennihan, &c.; ‘descendant of Léanachán’ (diminutive of leannach or léanach, mantled, cloaked); the name of a Roscommon family; still numerous, but dispersed through Connacht; sometimes pronounced Ó Líonacháin. Mac AMHLAOIBH—V—MacAuliffe, MacAuley, MacCauliffe, MacCauley, MacCawley, MacCowley, Cawley, Cowley, etc. ; ‘son of Amhlaoibh’ (an Irish form of the Norse Olaf). There are three well-known families of this name: (1) Mac Amhlaoibh, anglicised MacAuliffe, of Co. Cork, a branch of the MacCarthys. The head of this family resided at Castle MacAuliffe, near Newmarket, and his territory comprised the district lying between Newmarket and the boundaries of the counties of Limerick and Kerry. (2) Mac Amhlaoibh of Fermanagh, a branch of the Maguires, whose territory comprised the barony of Clanawley. And (3) Mac Amhlaoibh, anglicised MacAulay, of Scotland. The chief seat of this family was at Ardincaple, in Dumbartonshire. A branch of the family settled in Co. Antrim, and many of the MacAulays of the north of Ireland are of this stock. To it belonged also the celebrated Lord Macaulay. Mac CÁRTHAIGH— IV —M’Carhig, M’Carhie, MacCarha, MacCarthy, MacCartie, MacCarty, MacArthy, &c.; ‘son of Cárthach’ (Old Celtic Caratacos, loving, an ancient Irish personal name). The MacCarthys were the chief family of the Eoghanacht, i.e., the descendants of Eoghan Mor, son of Oilioll Olum, King of Munster in the 3rd century. They took their name from Cárthach, Lord of the Eoghanacht, whose tragic death, in 1045, is recorded in the Annals. Cártach was the son of Saerbhreathach (a name still in use in the family, anglicised Justin), who was the grandson of Ceaillachán of Cashel, King of Munster in the Danish* period. Prior to the Anglo-Norman invasion, the MacCarthys were Kings of Desmond, or South Munster; but shortly after that event they were driven from the plains of Tipperary into the present counties of Cork and Kerry, where, however, they became very numerous and retained considerable possessions down to the revolution of 1688. They were divided into three great branches, the heads of which were known respectively as MacCarthy More who resided chiefly in Kerry, MacCarthy Reagh, Lord of Carbery in West Cork, and MacCarthy of Muskerry; and there were numerous minor branches. In 1565, Donal MacCarthy, the then MacCarthy More, was created Earl of Clancar, and other members of the family were at various periods ennobled as Barons of Valentia, Earls of Clancarthy, Viscounts Muskerry, and Lords Mountcashel. *Note: The Danish period refers to Viking Ireland . Mac SUIBHNE—IV—MacSeveney, MacSwiney, MacSweeny, MacSweeney, MacSween, MacSwine, Swiney, Sweeney, &c.; ‘son of Suibhne’ (well-going); the name of a great military family, formerly famous throughout Ireland as captains of gallowglasses. They derive their name and descent, according to MacFirbis, from Suibhne, who was son of Donnshléibhe Ó Néill and lord of Knapdale in Argyle, about the beginning of the 13th century. The first of the name to come to Ireland was Murchadh, grandson of Suibhne, who is mentioned in the Annals at the year 1267. Early in the next century, the MacSweeneys effected a permanent settlement in Tirconnell, where they became captains of gallowglasses to O’Donnell. They branched out into three great septs, viz. : MacSweeny of Fanad who dwelt at Rathmullin Castle and had extensive possessions in the north-east of the barony of Kilmacrenan; MacSweeney of Baghnagh, now the barony of Banagh, in the west of Co. Donegal; and MacSweeney na dTuath, lord of Tuatha Toraighe, or the districts of Tory Island, sometimes incorrectly called MacSweeney of the Battleaxes. A branch of the MacSweeneys of Fanaid settled in Desmond as commanders of gallowglasses under the MacCarthys. They had several castles in the barony of Muskerry, and were celebrated for their hospitality. The Irish form of the surname is now sometimes Ó Suibhne, which see; in Scotland it is generally Mac Shuibhne (which see), but MacSween still survives as an anglicised form. Ó MUIMHNEACHÁIN—I—O Moyneghane, O Myneghane, Mynahan, Minahan, Moynahan, Moynihan, Moynan, &c., Munster; ‘descendant of Muimhneachán’ (Munsterman); the name (1) of a family of the Ui Fiachrach in Erris, Co. Mayo, in which county it is still extant, but sometimes translated Munster; and (2) a very common surname in Kerry and West Cork, where it is almost universally anglicised Moynihan. See Ó Muimhnigh. Ó MURCHADHA—I—O Morchowe, O Moroghoe, O Morphy, O’Muracha, O’Murphy, Murchoe, Murphy, Morphy; ‘descendant of Murchadh’ (sea-warrior); the name (1) of a family of Cinel Eoghain, who were chiefs of Siol Aodha, in the present Co. Tyrone; (2) of a family of the Ui Fiachrach who were chiefs of a district on the southern shore of Sligo Bay, now comprised in the parishes of Skreen and Templeboy, but were dispossessed and dispersed in the 13th century; (3) of a branch of the Uí Ceinnsealaigh, in Co. Wexford, who were chiefs of Uí Feilme, which comprised the barony of Ballaghkeen, in the east of that county, and formed a distinct clan down to the early part of the 17th century. This family is now very numerous throughout Leinster. It is not improbable that, in addition to those mentioned, there are several other families of the name in Ireland. Ó hIONMHAINEÁIN—I—O Hununane, O Hinownan, Nunan, Noonan; ‘descendant of Ionmhaineán’ (diminutive of Ionmhain, beloved); now shortened to Ó Nuanáin; the name of an ecclesiastical family who were erenaghs of the church of St. Beretchert at Tullylease, in the north-west of Co. Cork, and are now numerous in Cork, Limerick, Tipperary and Clare. The Four Masters at the year 1230 record the death of Donnshléibhe Ua hIonmhaineáin a holy monk of Boyle. Ó CONCHOBHAIR, Ó CONCHUBHAIR—I—O Conchor, O Connour, O’Conor, O’Connor, Connor, Connors, &c.; ‘descendant of Conchobhar’ (high-will or desire, an ancient Irish personal name); one of the most numerous and widespread of Irish family names. There are, at least, six distinct families so called, viz. : (1) Ó C. of Connacht who derive their name and descent from Conchobhar, King of Connacht in the latter part of the 10th century, and were long the ruling race in that province, and of whom two became kings of all Ireland. They were divided into three great branches, namely Ó Conchobhair Donn (the brown O’Connor), Ó Conchobhair Ruadh (the red O’Connor), and Ó Conchobhair Sligeach (the O’Connor of Sligo). The present head of the family is known as The O’Conor Don. (2) Ó C. of Offaly who derive their descent from Ros Failghe, son of Cathaoir Mor, King of Ireland in the second century, and their surname from Conchobhar, son of Fionn, lord of Offaly, who died in the year 979. They were a powerful and warlike race, and for more than three hundred years successfully defended their territory against the English of the Pale. Their chief stronghold was Dangan, now Philipstown. They were dispossessed in the reign of Philip and Mary. (3) Ó C. of Kerry. Before the Anglo-Norman invasion, the head of this family was lord of that portion of Kerry lying between Tralee and the Shannon; but owing to the encroachments of the Fitzmaurices and other Anglo-Norman settlers this territory was narrowed down to the limits of the present barony of Iraghticonor (Oireacht Uí Chonchobhair), which remained in the possession of the family until the close of the reign of Elizabeth, when it was confiscated and given to Trinity College. The chief stronghold of the O’Connors was Carrigafoyle, near Ballylongford. (4) Ó C. of Corcomroe. This family derives its name from Conchobhar, son of Maelseachlainn, lord of Corcomroe, who was slain in the year 1002, and the head of the family was lord of the barony of Corcomroe, in West Clare, down to the close of the 16th century. (5) Ó C. of Keenaght. The head of this family was lord of Cianachta, now the barony of Keenaght, in Co. Derry, until dispossessed by the family of Ó’ Catháin, or O’Kane, shortly before the Anglo-Norman invasion. (6) Ó C. of Uí Breasail, a branch of the Oirghialla. Ó CAOIMH—I—O Keeve, O’Keeffe, Keeffe, &c.; ‘descendant of Caomh’ (beautiful, noble, gentle, loveable). The O’Keeffes, who are of the royal race of Munster and of the same stock as the MacCarthys and O’ Callaghans, derive their name and descent from Art Caomh who was son of Fionghuine, King of Munster, and flourished in the 10th century. Donnchadh Ó Caoimh, the first to bear the surname, lived in the reign of Ceallachan of Cashel. The O’Keeffes were originally seated at Glanworth and possessed the district now called Roches’ country, in the barony of Fermoy; but they were driven thence shortly after the Anglo-Norman invasion, when they settled in a district in the north-west of the barony of Duhallow, to which they gave the name of Pobble O’Keeffe, and where they maintained themselves as a distinct clan down to the end of the 16th century. Ó LAOGHAIRE—I—O’Leary, Leary, &c.; ‘descendant of Laoghaire’ (calf-keeper); the name of a family of Corca Laoighdhe, who were originally chiefs of the country lying around Rosscarberry, in West Cork, but removed from there about the time of the Anglo-Norman invasion and settled in the parish of Inchigeelagh, where they became lords, under the MacCarthys, of the country between Macroom and Inchigeelagh. The head of the family resided at Carrignacurra, about a mile to the east of the village of Inchigeelagh. In 1642, Connor O’Leary of Carrignacurra, Auliff O’Leary of Cunnowley, and fourteen others of the name were attainted. The O’Learys are now very numerous throughout Munster. Ó RÍOGHBHARDÁIN, Ó RÍORDÁIN— I—O Riverdan, O Riourdane, O Reerdan, O’Riordan, Riordan, Reardan, Reardon, &c.; ‘descendant of Ríoghbhardán’ (royal-bard); written Ó Ríoghbhradáin by Keating; the name of a family originally of Ely-O’Carroll, in the present Offaly, and probably a branch of the family of O’ Carroll of that district, deriving its name and descent from Ríoghbhardán, son of Cúcoirne (Ó Cearbhaill), lord of Ely, who fell at the battle of Sliabh gCrot, in the Glen of Aherlow, in the year 1058. In 1576, Gaven O Rewrdane was a freeholder in Ely-O’Carroll and one of Sir William O’Carroll’s most important followers. The name appears about the same time in Leix and Kilkenny, but the bulk of the family had long before removed to Cork and Limerick. In 1597, Maurice O’Riordan of Croome was attainted and his lands granted to George Sherlocke. The O’Riordans are now very numerous in Cork, Limerick and Kerry. Ó SÚILEABHÁIN—I—O’Sullivan, Sullivan, Sullevan, Soolivan, &c.; ‘descendant of Súileabhán’ (i.e., Súil-dubhán, black-eyed); also but less correctly written Ó Súilleabháin; the name of a well-known Munster family of the same stock as the MacCarthys and O’Callaghans. The original patrimony of the O’Sullivans lay along the River Suir, in the present Co. Tipperary, and their principal seat was at Knockgraffon, about two miles to the north of Cahir. In the year 1192 they were forced by the progress of the Anglo-Norman invasion to exchange the fertile plains of Tipperary for the mountains of Cork and Kerry. In their new home on the shores of the bays of Kenmare and Bantry they, however, acquired extensive possessions and became one of the most powerful families in Munster and one of the most numerous in all Ireland.